Vitra has manufactured furniture designs by Charles and Ray Eames and George Nelson since 1957. Building on this foundation over the years, the company has developed a wide range of furnishings for the office, the home and public spaces in collaboration with progressive designers. The interplay of aesthetic value and robust longevity is the key to Vitra’s ability to furnish public spaces with long-lasting quality furniture, including airport seats. 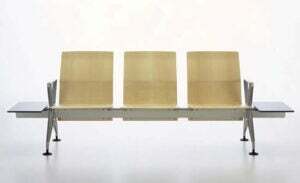 This is observed in the many airports equipped with Eames tandem seating, a design by Charles and Ray Eames from 1962. 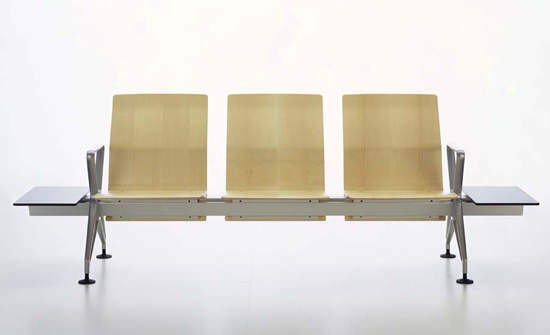 It is further evident from our recent collaboration with Norman Foster – who is renowned, among other accomplishments, for the design of several new international airports – on the development of AIRLINE, a modular seating system for waiting areas. Charles and Ray Eames originally designed their tandem seating for Chicago’s O’Hare International Airport in 1962. The design of this seating system is based on their aluminium group chairs. 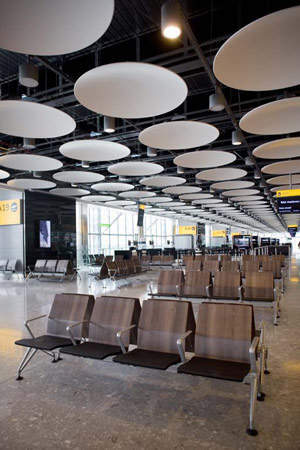 Tandem seating is a robust, modular system enabling comfortable and relaxed seating at airports. It is designed to withstand an exceptional level of wear-and-tear. The resilient seat and back upholstery can be exchanged on-site. The generous seat surface and the sandwich structure of the upholstery offer great seating comfort. The simple modular system enables the units to be added together at will or linked with table-tops to form an enclosed configuration. 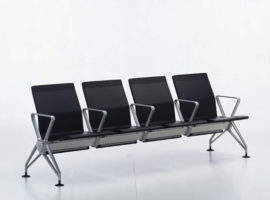 The Vitra airport division specialises in waiting areas. This team offers consultant services, develops plans for all types of waiting areas and implements these plans with Vitra products, including airport seats. AIRLINE is a flexible and robust waiting area seating system. The basic principle is an extruded aluminium beam which rests on die-cast aluminium feet. The seating elements, armrests and table tops can be swiftly and simply assembled, disassembled and rearranged (using a single screwdriver). The advantages of AIRLINE airport seats are highly economical use of space and great flexibility. AIRLINE is easy to clean and look after, fulfilling the requirements made of seating systems for public areas: all materials are fire-resistant and GS and BIFMA certified. Through their clear, aesthetical lines, AIRLINE airport seats adorn gates and terminals of many major airports worldwide such as Munich, Porto, Toronto, Hyderabad, Abu Dhabi, Bangalore, Singapore Changi, London Heathrow (T5), and many more. Vitra offers comprehensive assistance to the customer in the form of spatial planning, specification of products, project management and after-sales services. The airport division team can work with all CADs provided by the customer. In addition to our standard products and systems, Vitra also offers customised solutions in order to fully meet the specific needs of our clients. The airport industry starts its exhibition season by the first quarter of each year with the Passenger Terminal Expo hosted by leading European locations. 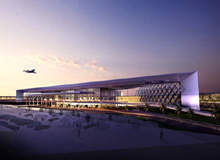 New Islamabad International Airport is the first greenfield airport ever constructed in Pakistan and is named after the assassinated ex-Prime Minister Benazir Bhutto, which was decided in June 2008 by current Prime Minister Yusuf Raza Gillani. 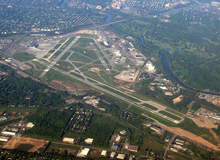 Located 6km south-west of Rochester, New York, US, Greater Rochester International Airport (GRIA) connects western New York with other parts of the nation and the world. The second busiest airport in Australia, Victoria's Melbourne Airport commissioned a new domestic terminal in August 2015. 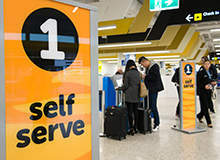 The move marks the start of a $1bn phased-expansion announced in 2012 as part of Melbourne Airport's biggest transformation project, which will see an investment of up to $10bn over the next 20 years. 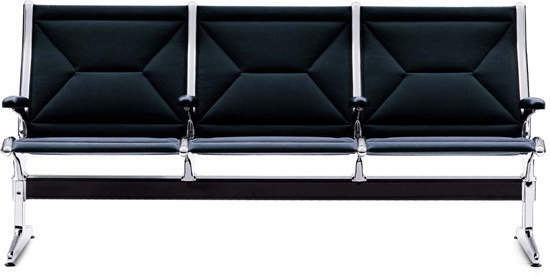 Vitra will be showcasing new developments in the lounge and public seating segment along with the latest customer-oriented refinements and products for the airports of today and tomorrow.